I know that for many of us, winter seems to have us in its icy grip, but spring really is coming. And what says spring better than daffodils? 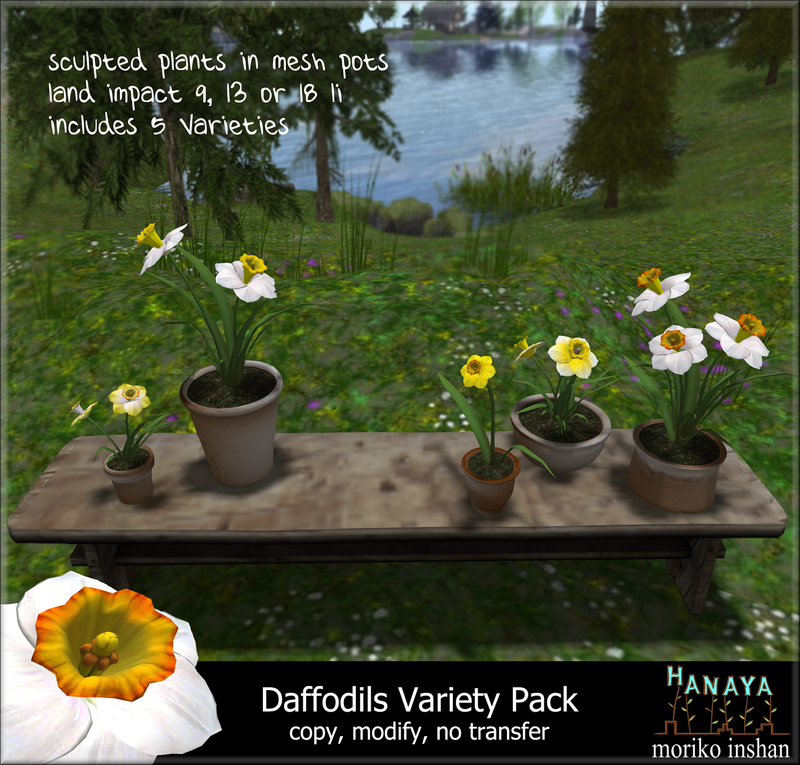 We have potted up some of our lovely dafs to brighten up your day. Available in a variety pack of 5 different plants / colours, as well as single plants. 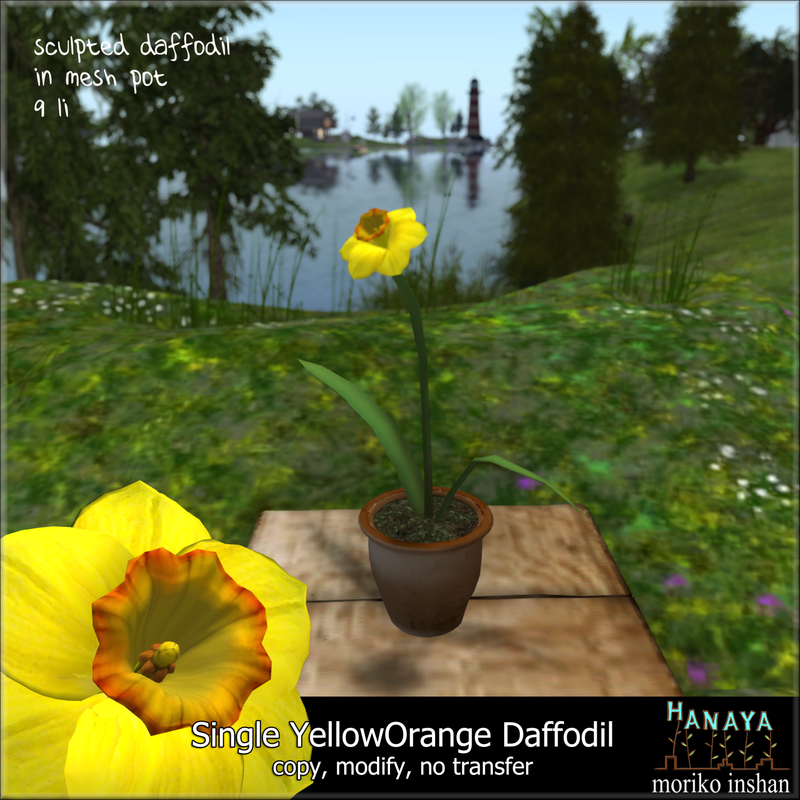 Now available for purchase on the Second Life Marketplace, and at -Hanaya- in-world store, where they are on display. In-world purchases are eligible for our VIP group discount, and can be bought as gift or using the -Hanaya- Gift Card. While visiting, enjoy the last of the winter @ -Hanaya-. The snow is melting rapidly, bits of grass are starting to show in among the crunchy bits of ice and you can hear spring birds starting to wake up. This entry was posted in Product Announcements on January 30, 2014 by moriko.